In the era of the twenty-first century, kids are growing up within a wireless world. More and more kids are finding pleasure playing with electronic devices than outdoor games. This thing can possess serious health and mental hazard to a child. Thus, being the mentor of your child it’s your duty to teach your child how these electronic things can possess serious health hazards. Moreover, protecting your child is another important duty. Here is the list of some actions that can help you to save your child. It’s a very good practice to create a rule for your child to utilize technology. For instance restrict your child to watch TV or the internet in your absence, limit the time for using an electronic device like mobile, iPods, etc. It’s ideal to create these rules when your child is in his adolescence. Thus you can incorporate the rule-abiding nature in your child. Your kid still doesn’t know anything about the harmful effects of technology. Thus, to enlighten him, sit with him and let him know about the side effects. It will help him to understand the facts properly. While your children will likely be resistant to a conversation that suggests limiting their tech usage, you are best served to bring it up within the context of your tech usage as a family. Do not explain the cons only. Explain to them that technology improves our lives and providing information and connecting with friends and also services of convenience. But all the way technology can threaten your quality of life by distracting them from homework, taking time away from their friends and family and making them tired too. Children who spend more time watching television, video games, or computers, often spend less time in exercising and such children tend to eat a lot of snacks which deposit fat in their body. Since they just keep on sitting and move very less and do less exercise, the fat will slowly accumulate in the body and the child will become fat. It can also increase the risk of certain diseases like heart failure, diabetes in addition to this they constantly watching the screen might also weaken your child’s vision power. Explain these points make a point that they can perform the tech assessment for a limited amount of time daily and a subsequent limitation on every family member. After all, it will better off to spend less time in technology. In addition to it, your child won’t feel signed out. Don’t let your kid watch TV alone. Sit with him and enjoy the TV shows with him. In the meantime, you can describe him, why it is not good to watch TV for a prolonged time. It will result in a great bonding between you two. As we know that learning for young children is driven by interactions. Your young kids need a lot of experience that is built in contingency, so a does will do something and an adult will say something in response. It is important for kids to know that what they do will have an effect and they are going to get a response for it. This is called contingent engagement and it is something which can only happen with a screen if you are participating with your child. Let your kids watch shows which will develop their math skills. But it will retain significantly if they watch the show alone. The more you involve yourself with the kids and use the strategies, the more your kids will benefit from media. Watching media with your child will also give you shared the language with which you can communicate with each other while you are not watching. Being involved you can get more mileage from those lessons and use it in everyday life. Try to encourage active viewing and engage them in the activities which they are seeing on screens. It will be useful if you talk about what you are seeing either afterward or during the experience. Keep on translating constantly what you see on screen or a particular device, so that the more you encourage the conversation the deeper the experience your child will have. Also, make sure that the program your child is watching teaches the kind of lesson which you want to teach your child. As kids grow older, they start reflecting on the behavior and character which they watch on screen. When you watch with your child, you can use strategies on the shows in the real world to coach your child on emotional regulation. It is good for you and your child to be working on the same playbook. Nowadays, everyone is connected to the internet and kids are not an exception. Your little one is naive; hence there is a possibility of net bullying. In order to avoid this, sometimes you can check his online activities. Get a web activity report which will show the entire websites that your child has visited or tried to visit. Visit the sites and block some of the specified sites which you don’t want your child to go back again. Create a unique profile for different kids. This will be useful if you have children of different ages. You can use one master account to manage the several subordinate account users. You can block access to certain web tools such as gaming, messaging, chat rooms etc. This will allow you to keep a better track of what your children are saying and to whom. You can remotely manage your account with the ability to change the parental control setting from any computer by accessing the web from anywhere. Try to check your child’s online activities as they happen with real-time web tracking features. You will receive a tamper control alert if someone tries to change the control setting other than you. Make sure you set up a timer which will limit the time your child spends online. Try to view the search monitoring result that will track the words and phrase that your child search for online, this will help you learn about what they are interested in. You will also find out if they are trying to find out some blocked or inappropriate content. Get your child involved in the different activity, so that he can get out of the trap of computer, internet, mobile and other electronic devices. Encouraging your kid to leave home; this will provide him fresh air, new friend circle and lots of enjoyment. Studies have found that children almost spend 7 hours in front of the screen. 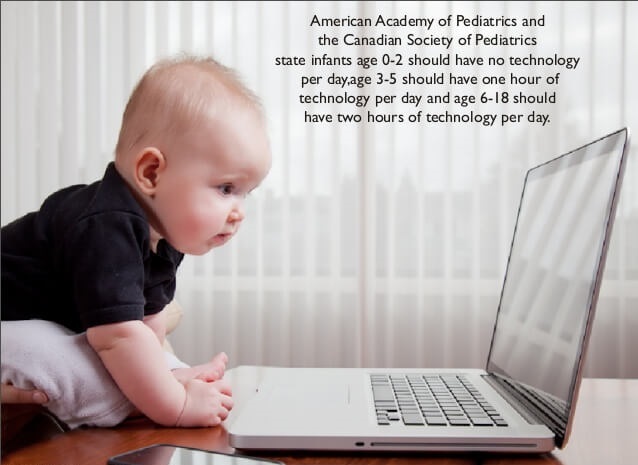 Whether it’s the television, computer, or the smartphone, it inhibits a child’s development. The universal truth is that no amount of screen-time rules work for our kids. Sometimes, we are at fault too. We require the television to come to our rescue for a 20-minute break so that we can have some ‘me time’ in peace. In the end, we all end up feeling guilty. With a little bit of internal drive, all of this can change. For a moment, quit all the internal nagging, and let your kids venture outside in the park or woods to experience the fresh breeze. A Little Fresh Air Doesn’t Harm Right? Playing in the park or woods would not only keep them away from the time-wasting television screen but will also boost their overall health. One doesn’t have to go to the park every day. Kids can wrestle in the backyard, plant some trees in the garden area, ride bikes on the streets, hike in the nearby mountain, or simply go out for a walk with you. Following these steps, you can certainly save your child from the bad effect of technology. Moreover, these will help you to create a great bond between you two and a safe, happier life to your child.